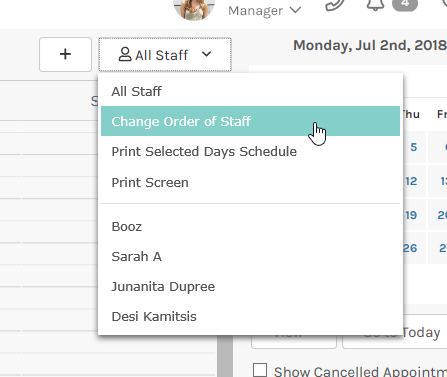 By default, staff will be displayed in alphabetical order in the appointment screen and other areas where staff are displayed. 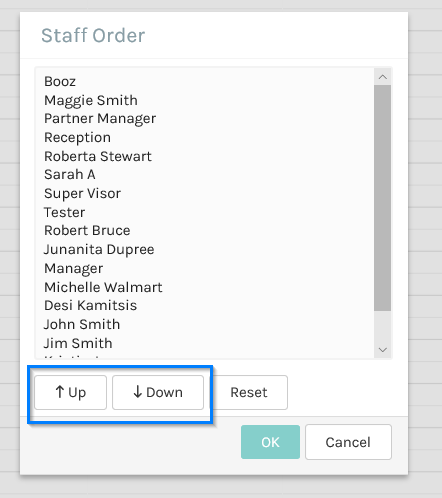 You can, however, change them to be displayed in any order you wish very easily. You are now done, staff will now be displayed in the new order.